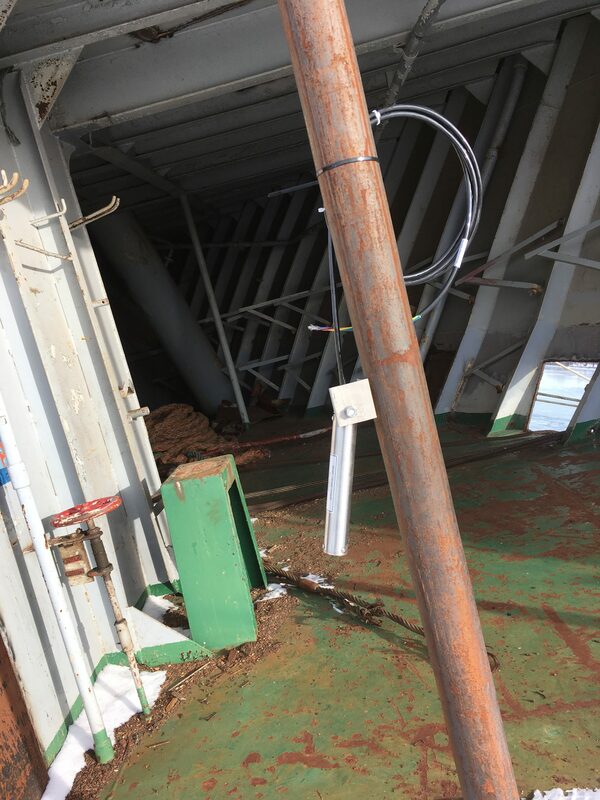 Instrumentation, to monitor possible movement of the ship during the construction of the cofferdam, was provided by Roctest. As the ship already listed at a critical angle, it was important that the cofferdam construction not worsen the situation. 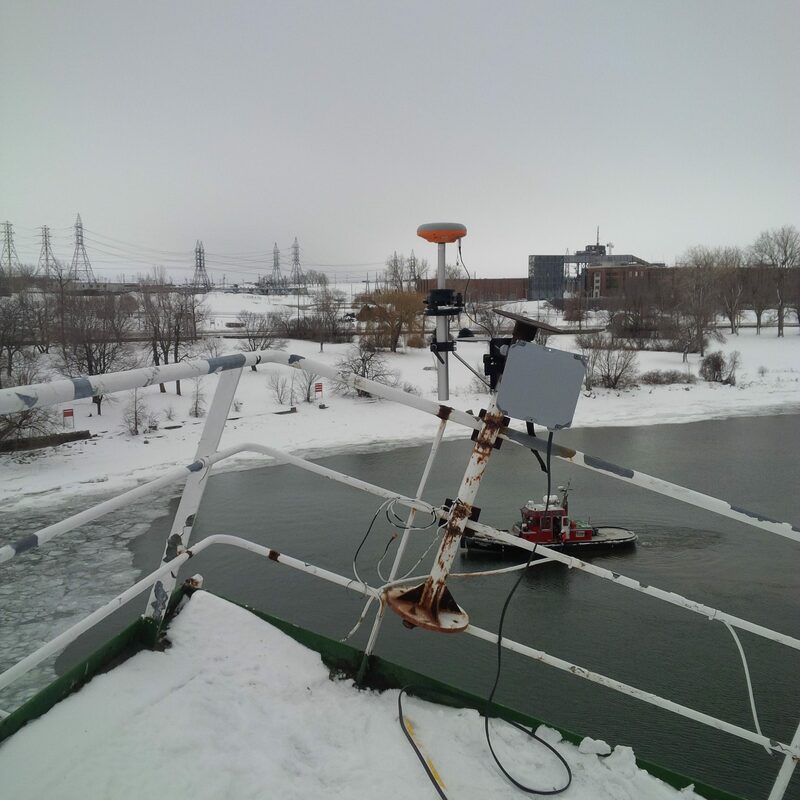 A tiltmeter and a GPS antenna were installed at both the bow and the stern of the ship. The tiltmeters provide angle values in the longitudinal axis of the boat and the GPS antennas provide the XYZ coordinates at the bow and stern. 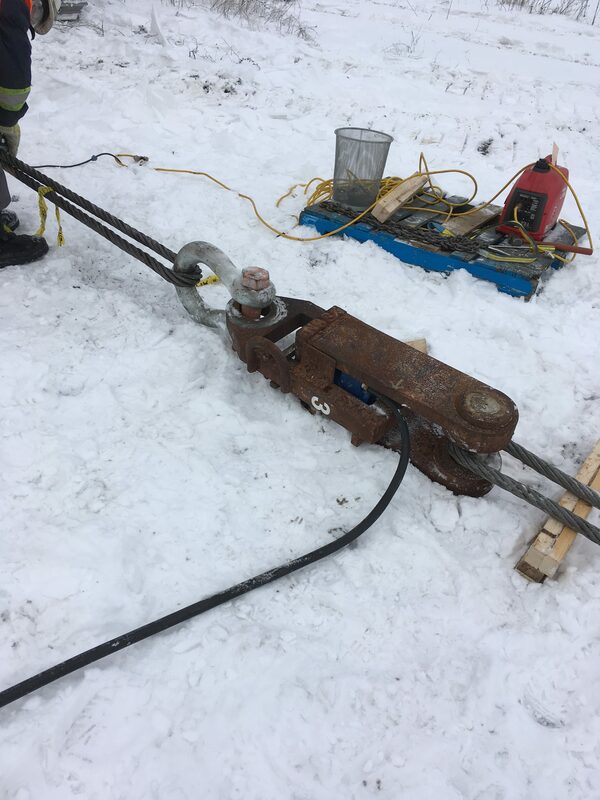 Each of the four cables, between the ship and the bank, also has a load cell to monitor tension. 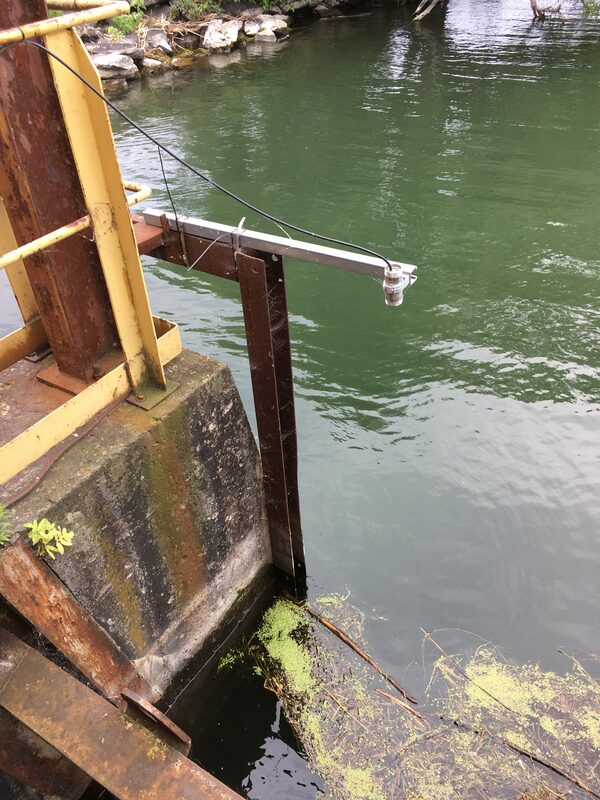 Finally, to monitor the water level inside the cofferdam, an ultrasonic distance sensor was also installed. All the instruments are connected to three datalogger systems, two slaves and one master; programmed to send warnings at preset alarm levels. The contract for dismantling the Kathryn Spirit was awarded in October of this year and should be completed by Autumn 2019.